Developed for use in the harshest environments, the Ansell PGK10BL Tropique Kevlar Work Gloves feature a Kevlar fibre construction, utilising Techcor knitting technology that provides fantastic cut and heat resistance. With excellent grip properties in both wet and dry environments, as well as high flexibility and comfort, these gloves provide all-round high performance for a variety of industrial applications. 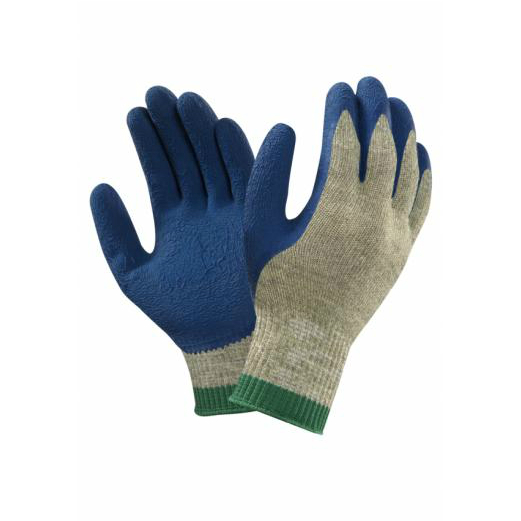 The Ansell PGK10BL are designated Category II gloves, meaning they are suitable for medium-duty applications and intermediate levels of risk. The Ansell PGK10BL are available in five different sizes. Please measure the circumference of your hand around the knuckles (excluding the thumb) with your hand open and your fingers together, and the length of your hand from the tip of your middle finger to your wrist.